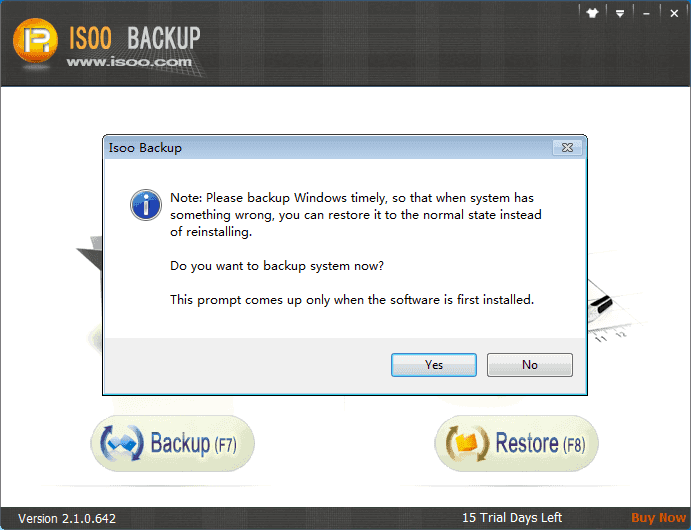 Download, install and launch Isoo Backup from your computer. 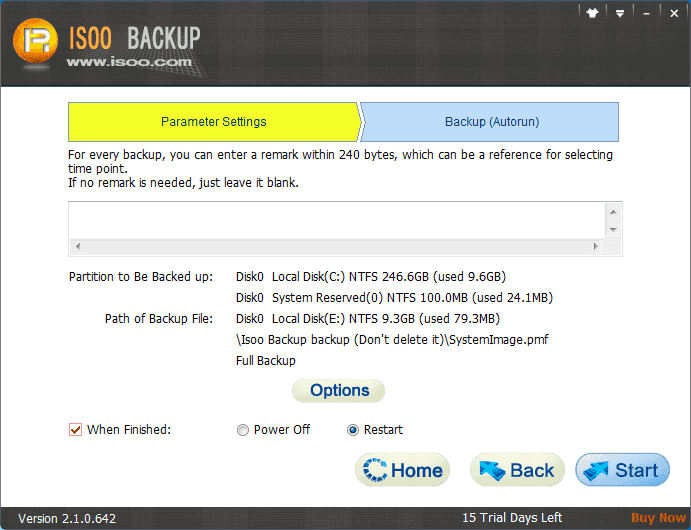 Click "Backup" button from the main interface. If the software is launched for the first time, a message box will come up. If you select "Yes", the program starts to back up system. Click "Options" button and you can configure advanced settings for the backup, such as select destination location, choose backup type, set password, pick compression type, etc. The default settings are set in accordance with the actual hard disk situations. In most cases, the default settings are optimal, so it's OK to click "Start" button without changing any options. 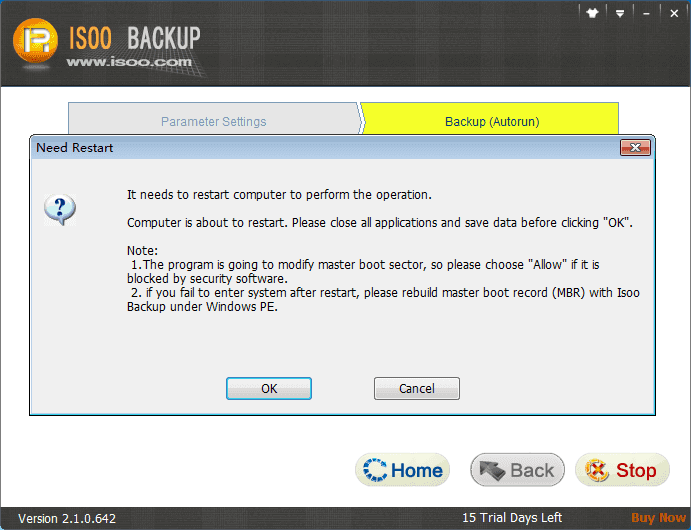 Click "Start" button and then click "OK" to confirm the operation, and Isoo Backup starts to back up system. 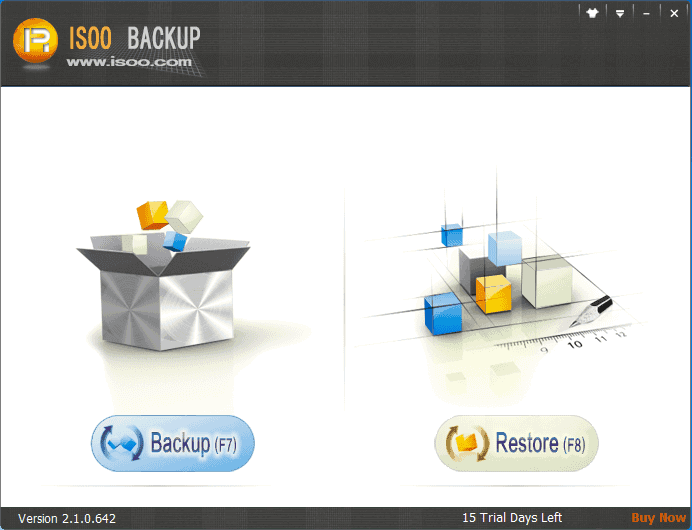 Isoo Backup is backing up system at fast speed, and you need to wait for the process to complete. If you followed the default settings in previous steps, the program will restart Windows when it finishes system backup.